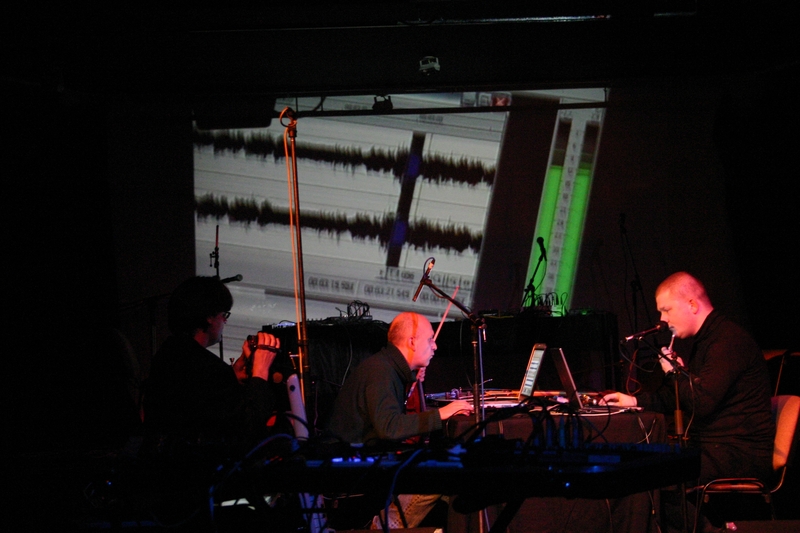 Two composers and performers with a lot of experience with composed and improvised music decided to use their laptops for creating music. The first performance of Pink Big Pig (PBP) was on the Next Festival in December 2005 in Bratislava. The musical experience of both PBP members includes 15 years performing in many ensembles and groups – Ali Ibn Rachid, Vapori del Cuore, Požoň Sentimental, VENI ensemble, Dogma, don@u.com, SonDrian. They performed improvised music with musicians like Nick Collins, David Dramm, Hilary Jeffrey, Ann LaBerge, Beth Griffith, Jean-Marc Montera, Günter Müller, Chris Newmann, John Oswald, Otomo Yoshihide, Jon Rose, Elliot Sharp, Miki Skuta, Daan Vandevalle, Marián Varga, Alfred Zimmerlin, and others. In the field of electroaccoustic music Pink Big Pig handles with the sound material in the same way as the ensemble Požoň Sentimental does with the different structures in the field of classical music (from artificial music events to banal pop elements…). Ľubo Burgr plays violin, guitar, recycles and generates sound material on his laptop. Marek Piaček plays flute and piccolo and recycles his own flute playing in real time and uses different classical music events for accompaniment.